We connect you directly with our suppliers so that you can choose from a huge online selection of home improvement products - often up to 50% off traditional retail. Not sure which product is right for you? We offer up to 5 free products samples, shipped overnight, to your doorstep. Once you've placed your order, logistics team and shipping partners plan and coordinate the delivery to ensure you receive your products where and when you want them, hassle free. Our customer service team is available to assist you at each stage of your home improvement journey, our Learning Center and blog offers a wealth of DIY tips and home inspiration and our Design Center helps you visualize your new space in 2D or 3D. Plus, you can rest easy because your purchase is backed by our 30 Day Money Back Guarantee. 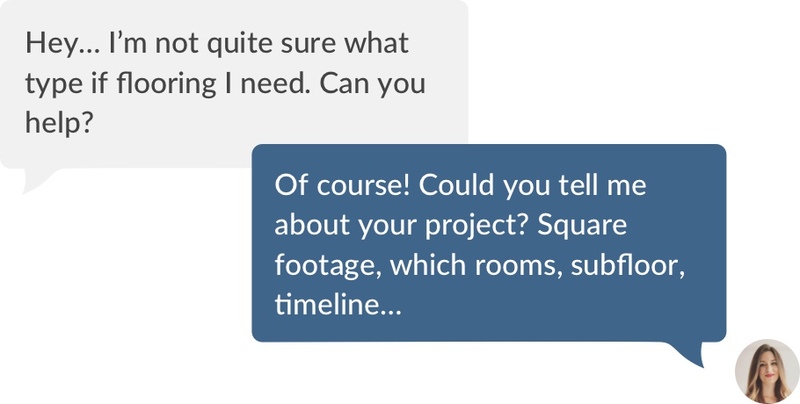 "I have been working with BuildDirect for over 10 years now and the service has not changed, it was great then and it is great now. Thank you for being a standout company." "I just ordered for the second time from your website. I can't say enough great things to my friends and family about my experiences! Your product is amazing, affordable and convenient!" 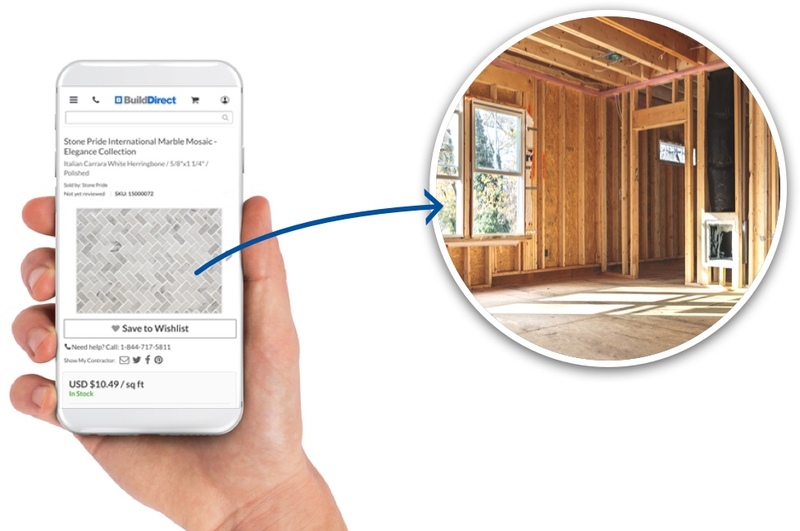 In October 1999, BuildDirect co-founders Jeff Booth and Rob Banks wanted to simplify the home improvement industry and give the power of choice back to the homeowner and home improvement professional. They wanted to provide those seeking to build or improve homes with an online marketplace to access the products they wanted, at the prices they'd love, and deliver them on time and directly to their doorstep. The prices on our website are offered to everyone! That means that if you are a homeowner, or a large construction company, BuildDirect's prices are available to you when you buy in pallet and container quantities. Samples can be ordered FREE online, just simply add your samples to your cart and complete your order. If you prefer, you can also order over the phone at 1-877-631-2845. There is no credit card required to order a sample and we'll even cover for your shipping! 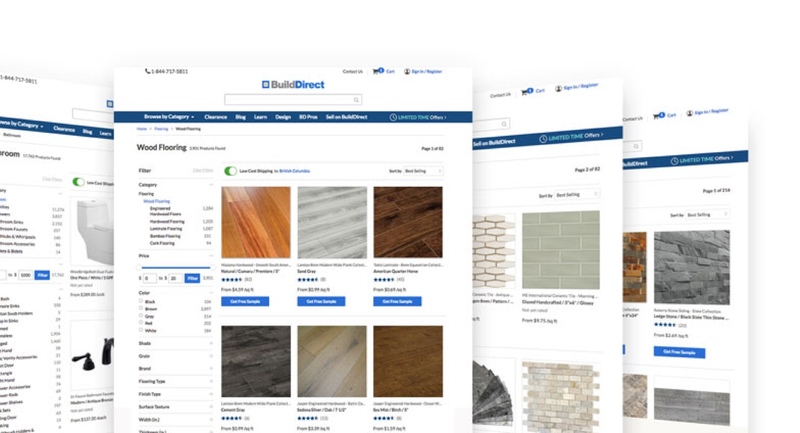 BuildDirect is a wholesaler with proprietary Internet technology and toll-free customer service to provide incredibly low prices on top quality building products. We process orders for building materials in two ways. The first is selling pallet multiples out of warehouses around North America. The second is shipping container orders directly from select manufacturers and delivered to your job site or distribution point of your choice. Yes, BuildDirect's many shipping options means that you'll get the service that's right for you: You can have your order delivered right to your home or project site, and even have the option to save money by picking it up yourself. To learn more about our shipping options and how we save you money on your shipment, see how we make shipping simple.